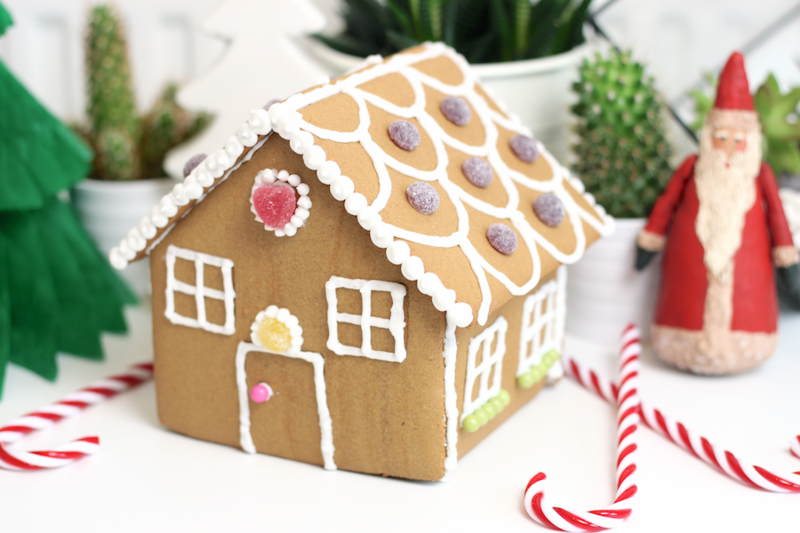 I made myself a little gingerbread house (for the first time ever) using a kit from Tesco along with a Dr. Oetker designer icing bag an a few jelly tots. Take my advice and bin the icing that comes with the kit instantly, it tastes foul and comes out as dry as a bone. The Dr. Oetker version is only £2 a bag and comes with lots of different nozzles to create a variety of shapes, with the cost of the kit it cost me around £7 to make the little house. My mum always makes sloe gin each year so we have plenty of bottles stored away in the cupboard, but if you haven’t made any this year then Slamsey’s do a great version too. 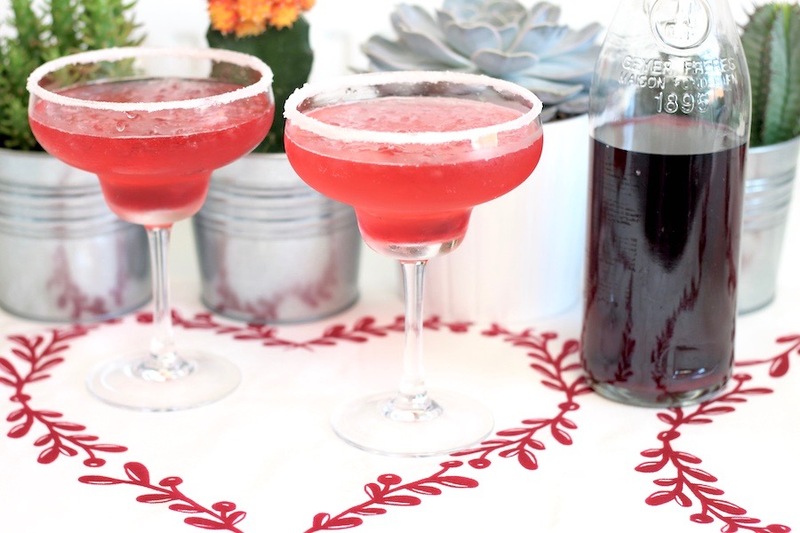 Crush up some ice enough to half fill a glass, then splash in a shot of sloe gin and fill up with lemonade. You can also dip the rim of the glass in egg white and then in sugar to create a frosted effect, absolutely perfect for Christmas time. 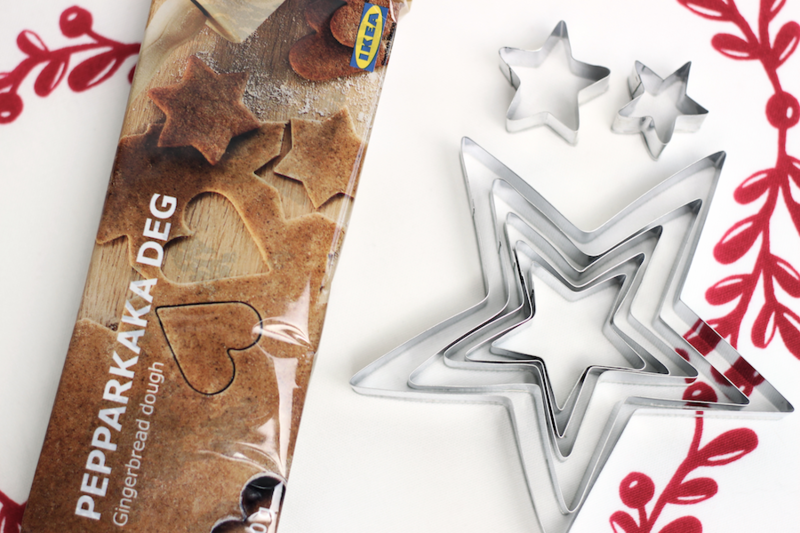 I popped to Ikea a couple of days ago and picked up a ready-to-roll pack of gingerbread, no need to faff around getting tons of ingredients and making a right old mess in the kitchen when all you have to do with this is roll out and cut into shapes. I then used my trusty Dr. Oetker icing once again for these, granted they aren’t the most precisely iced biscuits in the world but I quite enjoy that homemade feel to them. These make for a great coffee table decoration and are super easy to make too. Just coat each cranberry in egg white and then into sugar (as with the glasses for the cocktails) and leave to dry for a couple of hours. You can also use these as cake decorations or lay them around the base of a large candle in a vase. 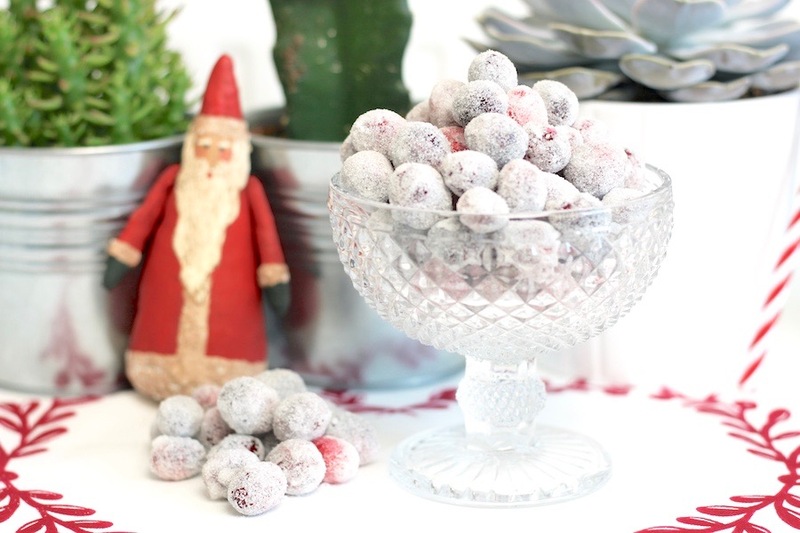 These were my favourite creation of the bunch, they melt in the mouth and have a slight chewiness to them in the centre due to the candy cane. To start, crush up a bunch of candy canes by using a plastic sandwich bag and a rolling pin. 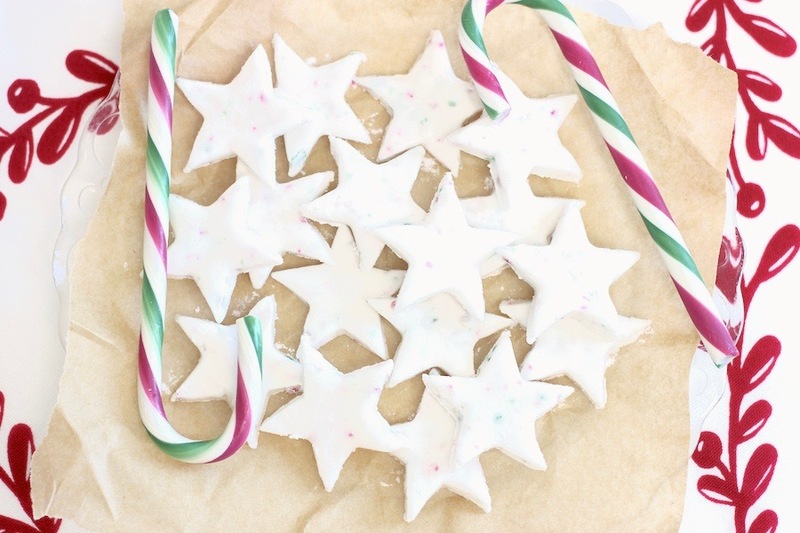 Then mix together one egg white with 225g of icing sugar and a few drops of peppermint essence to create a paste and sprinkle in the crushed candy canes by kneading the paste with your hands. 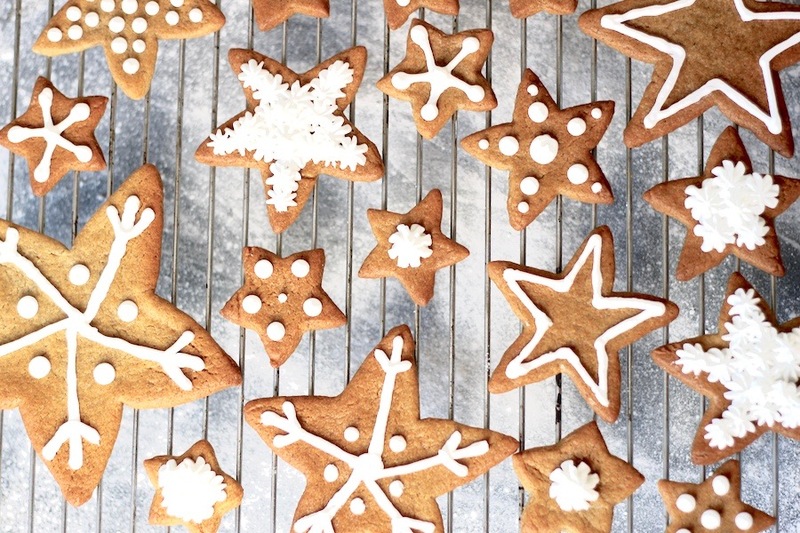 Roll the paste out to create a 5mm thickness and use a star shaped cutter to cut out your shapes, then pop them onto greaseproof paper that has been coated in a dusting of icing sugar and leave to dry out for a couple of hours. The sweetest little treats ever.